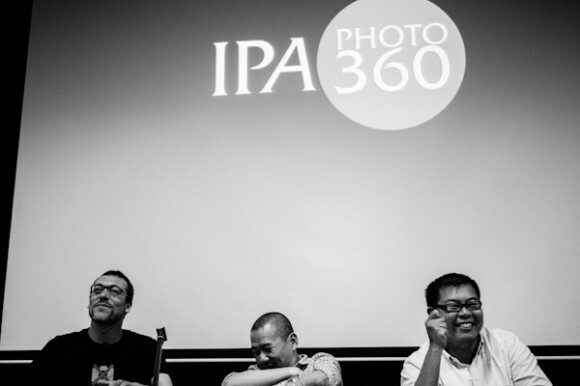 In conjunction with the IPA PHOTO 360 Workshop, a public talk was held yesterday evening at Nanyang Academy Of Fine Arts in Singapore. Here is a summary of some of the notes presented. 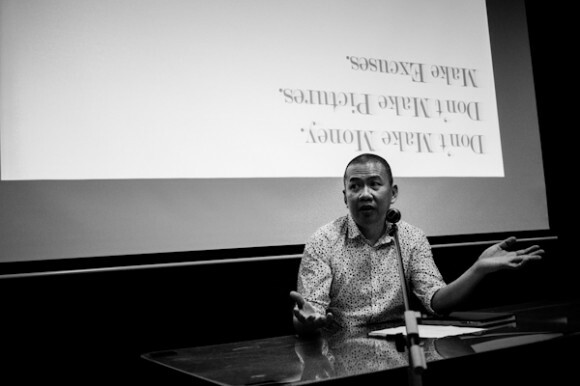 Tay Kay Chin started the evening and graciously shared his two rules. Confessing to faint at the sight of blood and hating cold shower, Kay Chin was honest and advised the audience to be truthful as well. If creature comforts are your priority then conflict photography is definitely not your cup of tea. Know yourself, be honest and manage those expectations accordingly. “If you want to enjoy photography, don’t quit your day job,” he added. 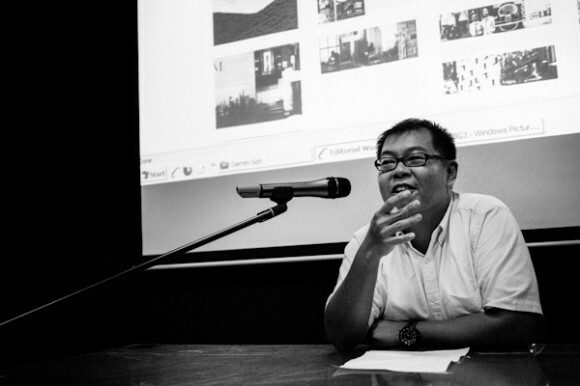 Kay Chin noted a fair number of photographers who gave up everything to pursue photography only to find disappointment. “You don’t photograph to live,” he stressed. “Define what you stand for,” emphasized Kay Chin. He shared the importance of performing fewer jobs and focusing on assignments we like. Even at the risk of appearing snobbish and picky, this selective approach will ensure the well-being of the photographer. In the long run, it would be to the photographer’s advantage. Though Kay Chin chose not to share any award-winning images, he gave us a honest and brutal expose of photography as a career. Appropriately titled ‘Make Money, Make Pictures, Don’t Make Excuses’ Kay Chin pulled no punches. It takes a passionate individual, devoted to the craft to succeed. There are no shortcuts. Darren Soh is an outlier of sorts. Despite his commercial success, he is known to diligently pursue personal projects. He shared his philosophy next. 1. Photographers make photos for themselves to look at. 2. Photographers make photos for others to look at. 3. Photographers make photos to make money. 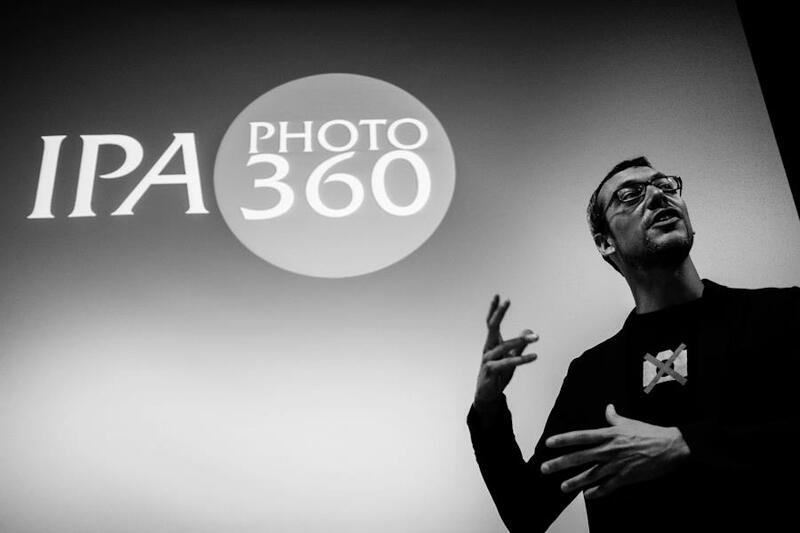 For Darren, successful photographers perform all three of the above. However, the most successful photographers do all three at the same time. The idea is to say it successfully with one’s images. 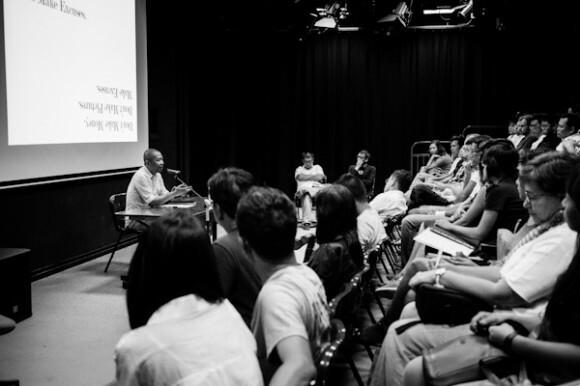 Darren warned the audience from pursuing the latest technology. Equipment, after all, are just tools for taking the pictures. He is a firm believer in editorial work, especially those that give you by-lines. This is invaluable in creating awareness for readers and especially potential clients. Most importantly, photography should also be about curiosity. “If you are no longer curious, be a banker,” Darren added. There is no secret formula except that the photographer is focused on making pictures for himself and others to see, only then will he or she be motivated to pursue photography passionately. The last speaker was Marc Prüst and he stressed that the marketplace has fundamentally changed. Never has there been so many photographs taken by so many photographers. In fact, everyone is now a photographer. That said, all is not doomed as there are several things one can do to ensure success. Marc believed there are four ingredients for success and in the following proportions. Hence success is within reach as working hard is the bulk of the equation. It is a conscious decision, a choice, made by the photographer to excel. In fact, working hard is a non-negotiable clause. There is, however, a need to market oneself properly. Marketing is essentially to identify, keep and satisfy potential and existing customers. In the past, this role is fulfilled by agencies. Unfortunately, agencies are fast becoming obsolete as they have no lack of talents but a lack of clients. Thus instead of relying on agencies, the photographer needs to collaborate rather than rely solely on agencies. Agencies should not be seen as the ultimate answer. Marc summed up his talk with an important advice. Be your own agency. Brand yourself. 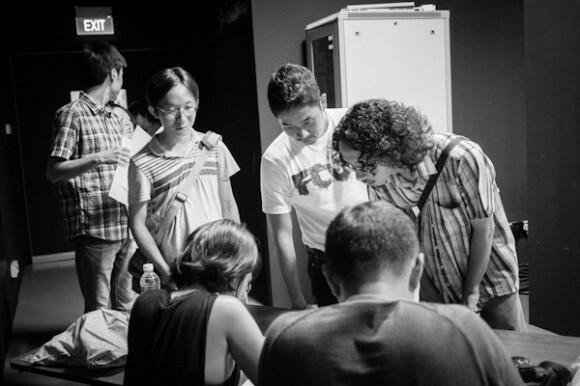 Editor’s Note: Yumi Goto, originally to speak at the talk, was unable to participate on the night.